This webinar will take a look at the classification of cyber criminals in 2011/12 and what we really mean by the term advanced persistent threat (APT). Using recent cases of systems exploitation we will examine the motives, methods and possible defences against the most common threats to IT today. 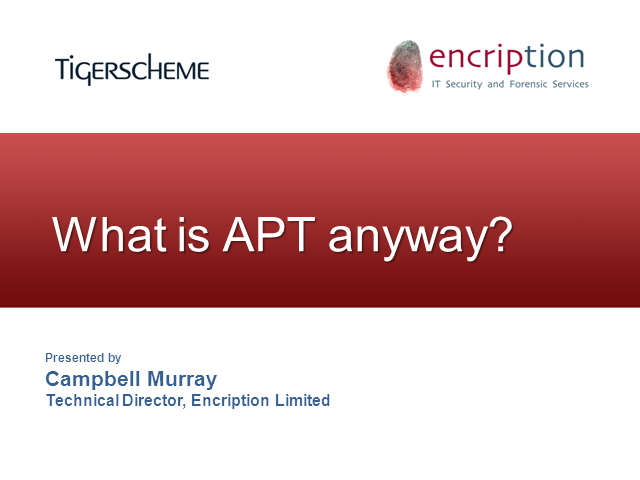 Title: What is APT anyway?